Keira Knightley tries to overcome the societal constraints of the early 20th century in Colette. British independent film-maker Wash Westmoreland (Still Alice) takes on the story of the French Nobel-nominated author Colette, best known for her 1944 novella Gigi. After moving to Paris with her husband, Sidonie-Gabrielle Colette agrees to ghostwrite a series of novels for her him. The phenomenal success of the series of novels titled Claudine makes Willy a well-known writer and he and his wife become contemporary celebrities. However, lack of recognition soon frustrates Colette and she plucks up the courage to fight for creative ownership and overcome the societal constraints of the early 20th century. Manohla Dargis of The New York Times called the film “an attractive biographical movie about the French writer, which takes a light, enjoyably fizzy approach in its subject”. John Anderson of the Wall Street Journal described it as “a liberation story, one witty enough to be worthy of its subject”. The film grossed $5 million in the US since its release on September 21, 2018. From left, Samuel L. Jackson, James McAvoy and Bruce Willis reunite for the final instalment in M. Night Shyamalan’s trilogy. After Unbreakable (2000) and Split (2016), writer, producer and director M. Night Shyamalan closes his Eastrail #177 trilogy with Glass. 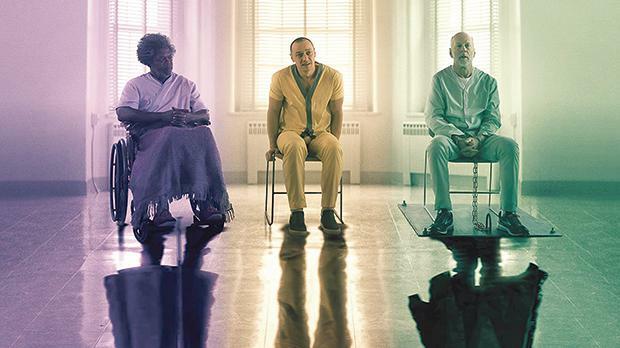 Bruce Willis and Samuel L. Jackson reprise their roles from the first film as David Dunn and Elija Price, known by his pseudonym Mr Glass, respectively; while James McAvoy and Anya Taylor-Joy return as their Split characters: Kevin Wendell Crumb and his multiple identities, and Casey Cooke, the only captive to survive an encounter with The Beast. Glass now finds Dunn pursuing The Beast in a series of escalating encounters, while the shadowy presence of Price emerges as an orchestrator who holds secrets critical to both men. The film opens in Malta on Friday. Bryan Cranston (right) finds an unlikely friend in Kevin Hart in The Upside. 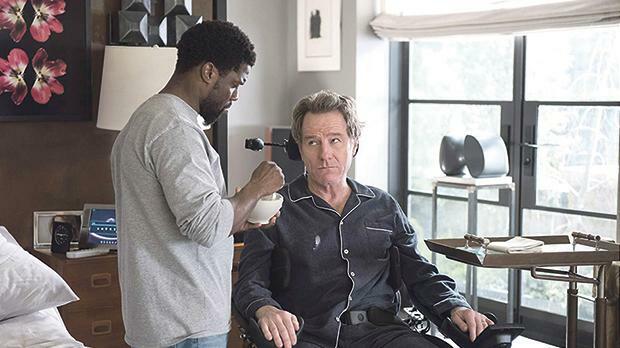 This remake of the French film The Intouchables, which was inspired by a true story, follows a wealthy quadriplegic named Phillip (Bryan Cranston) who needs a caretaker to help him with his day-to-day routine in his New York penthouse. He decides to hire Dell (Kevin Hart), a struggling parolee who is trying to reconnect with his ex and young son. Despite coming from two different worlds, an unlikely friendship starts to blossom as Dell and Phillip rediscover the joy of living life to the fullest.